I met Steve just once, in the early 1990’s,when as CEO of NeXT Computer he was visiting the trading room of O’Connor and Associates at the Chicago Board of Trade, where I was on the technology management team, to see how we were using the sleek, innovative and very powerful NeXT workstations for our securities trading business. (Jobs founded NeXT in the late 1980’s after being forced out of Apple, to which he returned in the late 1990’s.) What I recall of that morning meeting was his intensity, curiosity and delight that the NeXT workstation, originally developed for the education market, had found a home in the hurly-burly world of securities trading. He belongs in a select group of people who in the last century have had an impact on nearly everything we do (think Henry Ford, the Wright brothers, Thomas J. Watson, and yes, Bill Gates, among others). Ninety million people have bought an iPhone, countless others iPods, iPads and Macs. His genius was the ability to make something very complicated under the skin into something simple, beautiful, intuitive and fun. 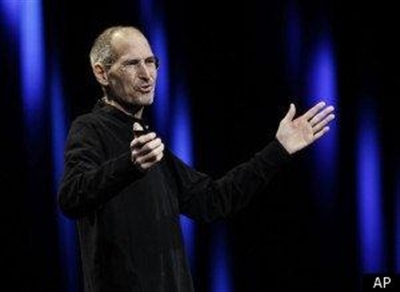 Steve Jobs was not a Christian, but by all accounts he was a man dedicated to his family and his Buddhist faith. We can learn something from him. We can learn something from Phyllis. When Steve Jobs unveiled the brand new Macintosh computer in 1984, the little computer with a built-in handle displayed the words “insanely great” in a cursive font, something unprecedented in its day. (To watch go to http://www.youtube.com/watch?v=-FeteO40nRQ) And when you stop to think about it, isn’t that what God is calling us to be? Insanely great in our own way, big or small? We can’t all be Steve Jobs, but we can all be like Phyllis, insanely great in the way God made us and calls us to be.